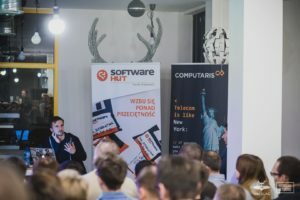 Computaris Poland participated at the JSession event organized by HACKLAG, gathering the local community of JVM language enthusiasts. 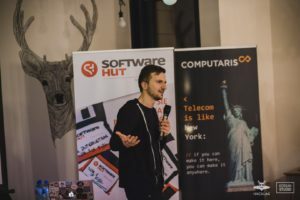 Computaris was represented by System Architect Tomasz Lazarecki who delivered the presentation “Quick and easy IO with Netty” – an introduction to the programming of network applications based on the Netty framework. Tomasz also touched upon the benefits of the framework in terms of time and convenience and how to test applications based on Netty. Tomasz Nurkiewicz, author of “Reactive Programming with RxJava” also delivered a presentation on the topic of ExJava in existing projects. 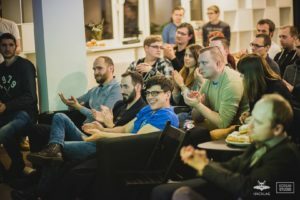 The JSession event is planned to take place every two months and this first edition brought together more than 110 participants interested in Java-related technologies.